Hubb's Beaked Whale (Mesoplodon carlhubbsi) was initially thought to be an Andrews' beaked whale when discovered by ichthyologist Carl Hubbs; however, it was named in his honor when it was discovered to be a new species. Hubb's Beaked Whale Skull. Mesoplodon carlhubbsi. CAS SPECIMEN. 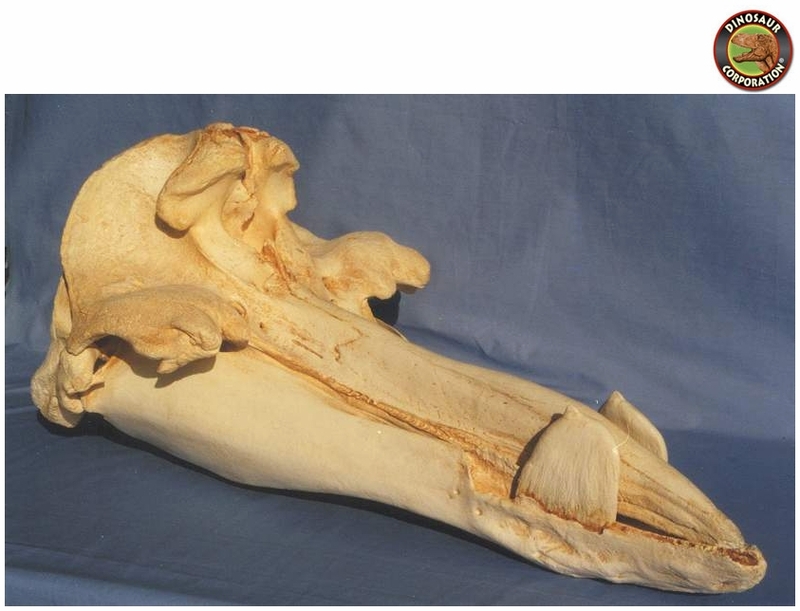 * Hubb's Beaked Whale skull Museum quality replica is cast in durable Polyurethane resins.